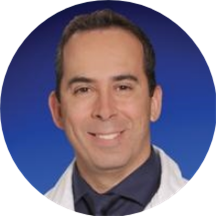 Dr. Alain Abdo is an experienced surgeon, serving the community of Baltimore, MD. He completed a fellowship in minimally invasive and bariatric surgery and a residency at Saint Agnes Hospital. He is certified by the American Board of Surgery and is an active member of the American College of Surgeons. Dr. Abdo is currently practicing at MedStar Franklin Square - Surgery. He pursued his medical education at the Lebanese University Faculty of Medical Sciences, where he also completed his residency training. He is fluent in English, French, and Arabic. Patients from various backgrounds enjoy having him as their physician. Dr. Abdo communicates with his patients with clarity and ensures they have all the information they need to make the right treatment choices. He is flexible in working with the changing trends in medicine and in the healthcare market.